Now,that's an awesome water bottle! 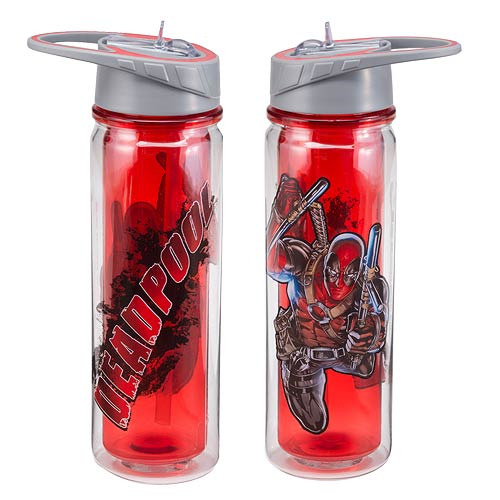 If you like Marvel's Deadpool, you're gonna love this 10-inch tall Deadpool 18 oz. Tritan Water Bottle. Fashioned from durable, BPA-free Eastman Tritan copolyester, the insulated double wall prevents condensation. Plus, it includes a spill-proof lid! Top rack dishwasher safe. Do not microwave. Ages 14 and up.